I often disagree with The Washington Post’s education writer Jay Mathews, but I think he’s generally pretty thoughtful. In the past week or so, though, he’s written a couple of columns where I’ve heartily agreed with his main idea. At the same time, though, some of his reasoning has been completely off-base. I’ve already written about his column (see I Think These Critiques Of Parent Trigger Laws Are Missing The Point…) where he opposed the parent trigger because, among other reasons, he doesn’t think parents know enough about schools to change them. Now he writes in support of teachers making visits to parents homes. 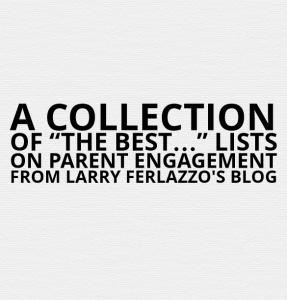 I’m obviously a big supporter of those: I’ve made scores of them; our school makes hundreds each year, I wrote a chapter about them in my book on parent engagement, I’ve written numerous related posts here, and I write articles about them all the time. In fact, my recent article for ASCD Educational Leadership, Involvement or Engagement, emphasized their importance. Mathews begins and ends his column speaking positively of new Chicago Superintendent Jean-Claude Brizard’s effort to implement a teacher home visit program there, and mentions that many spoke negatively of it there. But Mathews misses the main point, which is the mistake made by so many (though, not all) of those who label themselves “school reformers” — Brizard announced his plan without any consultation with those who were going to have to be actually doing the work, the teachers! Oh, and what else was happening in Chicago then? Brizard announced his home visit plan within days of the Chicago School Board retracting its promise to increase the salaries of teachers while increasing the salaries of its Central Office staff. At the same time he proposed the home visits, he recommended eliminating teacher professional development days and pay increases due to seniority or teachers obtaining additional credentials. Again, without any teacher consultation. That’s a picture perfect model of how not to initiate a teacher home visit plan. When I talk about parents connecting to schools, I suggest that schools need to move away from one-way communication to and, instead, move towards two-way conversation with parents. That might be a good policy for school reformers and Superintendents to follow with teachers, too. 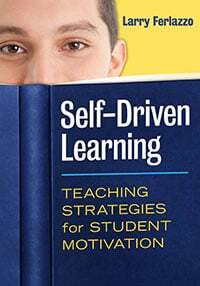 In my book and in my Educational Leadership article, I cite research studies that have indeed shown a direct connection between home visits and student academic achievement. In addition, the premiere organization in the United States promoting these visits, The Parent Teacher Home Visit Project, emphasizes that building a relationship between teacher and parent needs to be the primary goal, not academic targets (that’s not to say those can’t be mentioned, but relationship-building is the key). Also, Mathews describes teachers going to parent homes unannounced. Hey, I’m all for teachers doing them whatever way they want, but my experience, and the experience of the Parent Teacher Home Visit Project, clearly points to a better practice of calling to arrange an appointment ahead of time. It’s more respectful, and some parents might prefer to meet at a nearby coffee shop instead. The Industrial Areas Foundation, the national organization that employed me as a community organizer for nineteen years prior to my becoming a teacher, sometimes worked with schools to organize special Saturdays where teams of teachers and parents would sweep through a local neighborhood for visits, but those were always widely publicized ahead of time. So, yes, Jay, teacher home visits are great. But let’s try to include a little more context, please. The word “context” comes from the Latin contextus, which means “a joining together.” If Superintendents and school reformers kept that idea in mind, some of their ideas might get a more positive reception among teachers. This entry was posted in blogs, home visits. Bookmark the permalink.